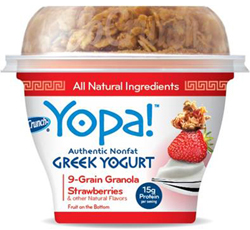 “Like” Yopa’s Facebook page for a $1 off any YoCrunch Yopa! greek yogurt cup printable coupon. Walmart has Yopa! priced around $1.08. Use this coupon to get it for under a dime! If you love this stuff there’s another Yopa! coupon you should grab for $1.10/2 yogurt cups or (1) multipack.